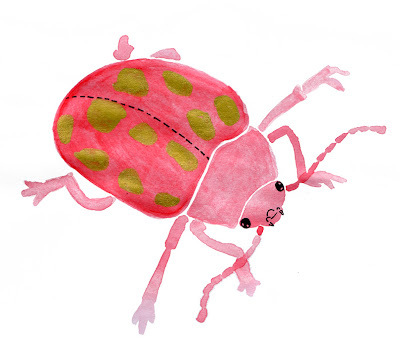 when i first spied this beetle's golden spots, i thought it would be the perfect animal to draw today as i own a gold posca pen. oh right, you want to know about the beetle and not my lack of arting supplies? well, they store toxic chemicals in their bodies, which is why they're so bright - to warn predators off. how thoughtful of them! and also i'd be dead.